One American university is putting electronic voice-controlled assistants in every student housing room on campus. Saint Louis University recently announced it will equip every student living space with Amazon’s Alexa system. The school in St. Louis, Missouri, will place about 2,300 Echo Dot “smart” devices in all student dorms and other university housing. Officials said the university will be the first in the world to put the devices in every student living space. The devices and the Alexa service are being provided at no costs to students. The Amazon Echo is a speaker with the ability to listen and “talk” to users and can perform some operations. The Alexa assistant competes with similar systems made by Google and Apple. Devices linked to the systems have become increasingly popular in homes in recent years. They can be used for things like looking up information, playing music, ordering food or buying things on the internet. The devices can also complete actions in the home. These include turning lights on and off, and controlling systems for heating and cooling and security. Amazon said in a website post that Saint Louis University chose the Alexa system after carrying out a test program. The program involved the Echo Dot and a device from a competing company. It said the students had a better reaction to the Alexa system. 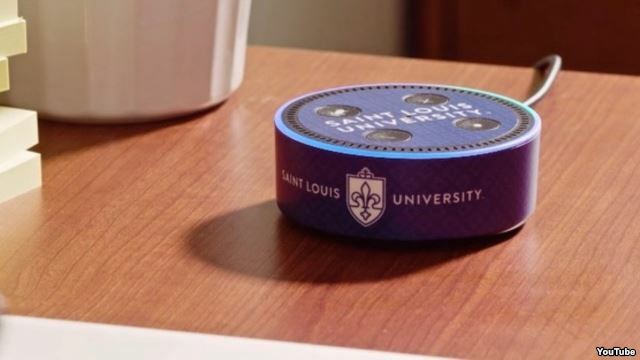 The Echo Dots will include a special skill developed especially for Saint Louis University. 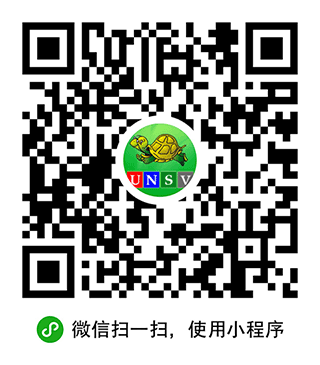 It will provide information and answer questions about local school activities and campus life. Next year, the university plans to add more personalized skills, such as providing information about classes and grades. The university said it did not increase student tuition to pay for the project. Instead, officials said, it was financed through the school’s general fund, as well as partnerships with Amazon and n-Powered. The company, based in Los Angeles, California, helped develop the parts of the system that are related to Saint Louis University. While the devices are being placed in every university housing space, students do not have to use them. For those wishing not to take part, the school suggests students just remove the devices from their rooms and put them away in a safe place. Other universities have also experimented with voice-controlled assistants in student living areas. A year ago, Arizona State University announced a program that provided Echo Dot devices to a special housing area for engineering students. In the program, all engineering students moving into the special housing community were given the choice of receiving an Echo Dot if they wanted one. As is the case at Saint Louis University, Arizona State students are able to use the system to get the latest information on university programs and events. However, the Arizona students also have the chance to sign up for classes that teach subjects related specifically to creating new uses for Alexa devices. Octavio Heredia is a director with Arizona State’s Fulton Schools of Engineering. He said he thinks it is a good idea for students to get as much experience as possible with the voice assistants to improve their development skills and prepare for future jobs. “Once they are familiar with the devices, they are going to want to further develop their own skills and begin integrating that technology - the hardware and the skills - into other projects,” he said. Bryan Lynn wrote this story for VOA Learning English. Mario Ritter was the editor. campus – n. the area and buildings around a university, college, school, etc.